Tuesday night, ESPN is airing a 30 for 30 episode called Four Days in October, about the 2004 American League Championship Series between my beloved Boston Red Sox and the Evil Empire of the New York Yankees. I lived in Boston at the time, and my memories of those four days are so vivid that they still brings tears to my eyes and a smile to my face, simultaneously. This is my personal recollection of that amazing series. I was debating what to do with my evening. 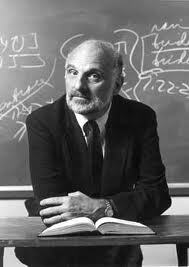 Should I stay home and watch the game, or head out to see one of my favorite biblical scholars, Walter Brueggemann, in person for the first time? The Sox were down by three games, and no team had ever gone on to win the series from a 0-3 deficit. So far in the series, the Yankees had been embarrassing them every night. I consulted with another baseball and Brueggemann fan, my friend P. We decided to go to the lecture rather than risk staying home for another demoralizing defeat. We took turns going out to the car for updates on the score, and shook our heads with resignation. Overhearing us talking about the game at the end of the evening, Dr. Brueggemann (an avid St. Louis Cardinals fan) approached us to talk baseball. This eminent scholar proceeded to smile and ask, “Did you know the Red Sox are in the Bible?” He then pointed us to Jeremiah 8:20: “The harvest is past, the summer has ended, and we are not saved.” P. and I agreed this was funny, but it felt cruel on such a devastating night. We parted from Brueggemann and from each other with the game on our car radios, sadly waving goodbye to each other and to the season. “Maybe next year,” we said. I got home just in time to see Dave Roberts steal second base. I honestly didn’t believe it. I saw it happen, I saw them tie it up in the bottom of the 9th to keep the season alive, but I didn’t really believe it. I stayed awake anyway, just waiting for the end to come. Big Papi’s walk-off home run in the bottom of the 12th gave us something to celebrate, and it gave us our dignity back. At least we didn’t let the Yankees sweep us. It did not yet give me hope for a comeback sweep and the breaking of the curse. 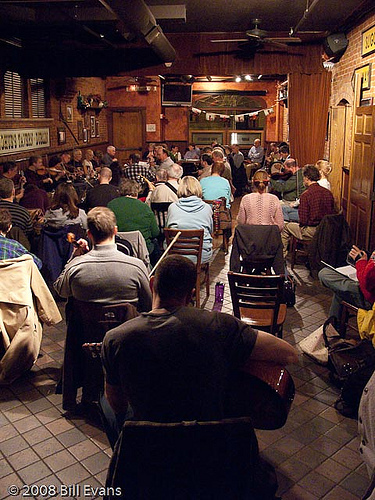 P. and I made plans to meet at the Green Briar, an Irish pub in Brighton Center that held a traditional Seisún every Monday night. We always enjoyed the music, and planned to drink our Red Sox sorrows away at the bar. It was crowded, and people were expecting the game to end so they could watch Monday Night Football. But the game just wouldn’t end. With every batter at the plate past the ninth inning, the tension grew. P and I got up to walk around every inning or so, just to break the tension and calm our beating hearts. Thank goodness for the music. The Seisun was in a separate room, and we would go there to listen for a few minutes just to try to keep from having a panic attack. There was a TV in the Seisun room too, though—and every one of the 20-30 musicians had an eye on the screen, even as they played on and on with one Irish favorite after another. My most vivid memory of that evening was standing the back of the room, watching every eye on the Sox game on TV, hearing them call out tune after tune and playing without ever missing a beat or a pitch. Seisun at the Green Briar. Just imagine the game on the TV. It was tense, and intense, and it felt like that game would never end. When Big Papi came through again in the bottom of the 14th, the bar went mad–and the musicians broke into a wildly gleeful jig. Everyone got up and danced together, like a scene out of a movie. P and I both cried tears of joy. Reality starts to set in. We had forced a Game 6, which had only happened twice before in all of baseball history, but no team had ever emerged a victor to force Game 7. The team had to travel back to Yankee Stadium, and say goodbye to the charm and magic of Fenway. The journey ahead looked arduous, but we still felt faithful and hopeful. Curt Schilling stepped onto the mound despite his recent surgery to repair (again) a torn tendon in his ankle. We believed this to be an act of great courage and leadership. As fans, we were exhausted from the previous two late nights of tension. We couldn’t imagine the exhaustion felt by the team itself. Game 6 only added to the pressure. When the sutures began to open and we saw the now-famous bloody sock, we sucked in our breath and stood amazed at his endurance and sacrifice. On that night, we knew for certain that they wanted to win as badly as we did, and they were willing to give everything they had to do it. And we loved them for it. The Yankees tried to make a comeback in the last innings. We foresaw our defeat being snatched from the jaws of victory, but they did not prevail. We lived another day, bleeding, exhausted, teary-eyed, bleary-eyed, and hopeful. But in the end, the game was uneventful. Other than the unusual relief pitching of Pedro Martinez, there was nothing remarkable about the game, just great hitting by Ortiz, Damon and Bellhorn. When the Yankees scored two runs in the 7th, we thought that might be the beginning of the end, but the Sox came right back. The Sox blew out the Yankees 10-3, and it only took them nine innings to do it. It was nothing extraordinary, except that it propelled Boston to its first World Series since 1986, and eventually on to victory. Unlike the previous three games, although the tension was still there, it was diminished. While the celebration on the field and in the bar was still ecstatic, there was also stunned disbelief. We kept looking around at each other, silently asking, “Did this really happen? Did we really just come back from three games back to beat the Yankees? Are we really in the World Series? Do you think this might be the year? Can we break the curse?” I suspect many fans did what I did—awoke the next morning to check the paper, turn on the TV or radio, to make sure the whole thing wasn’t just a dream. But it wasn’t just a dream. It was a dream come true. Those 2004 Red Sox went on to win the World Series in a four-game sweep of Dr. Brueggemann’s St. Louis Cardinals. At long last, the curse was broken and we were saved. The World Series was great, the games enjoyable, the celebrations abundant—but I don’t remember much about the details. It’s those four days in October that I’ll remember most—the stolen base, the walk-off home run, the 14 innings of tension and Irish music, the bloody sock. If I live 86 more years, I doubt I’ll live to see another sporting event like it. I still can’t help smiling and crying tears of joy every time I think about it. 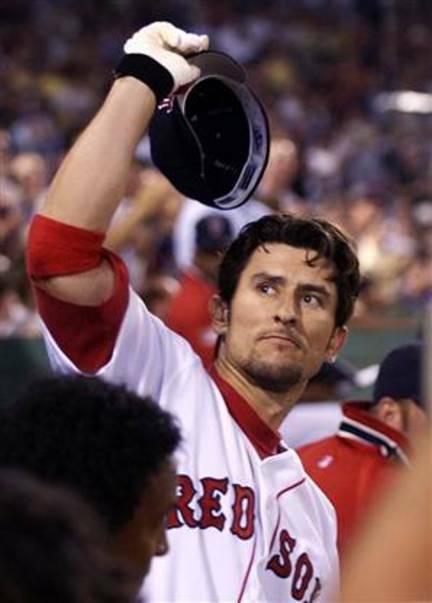 Thanks for taking us back, Nomar. Red Sox Nation never stopped loving you. We mourned when you got traded. We wanted you to get a World Series ring. We followed your career, injury after injury, and wished life was different. Yet in the end, in spite of being let go and left out by the owners and GM, you still love us, and love the Red Sox life and lore as much as we do. And today, I’m sure I’m not the only one who cried tears of joy to see you come home, to stay. I wish I was following the lectionary in my preaching this week, because the Gospel story is about the prodigal son. I think there’s something in the Nomar story that connects somehow. He’s the father, not the son—the one whose love persists in spite of rejection, scorn and abuse; in spite of seeing his fortunes lost and his prosperity ended; in spite of harsh judgment by youth who acted as though his hard work and contributions no longer mattered. Yet still he loves, practices grace and forgiveness for past hurts, and yearns for reconciliation and to be a part of the family again. Ok, it’s not a perfect allegory, but there’s still something there. And #5 is back in the family, reunited with us, so we can all enjoy the party. We love you, No-mah Gah-cia-pah. You belong in Boston, in a Red Sox uniform, at Fenway Park.